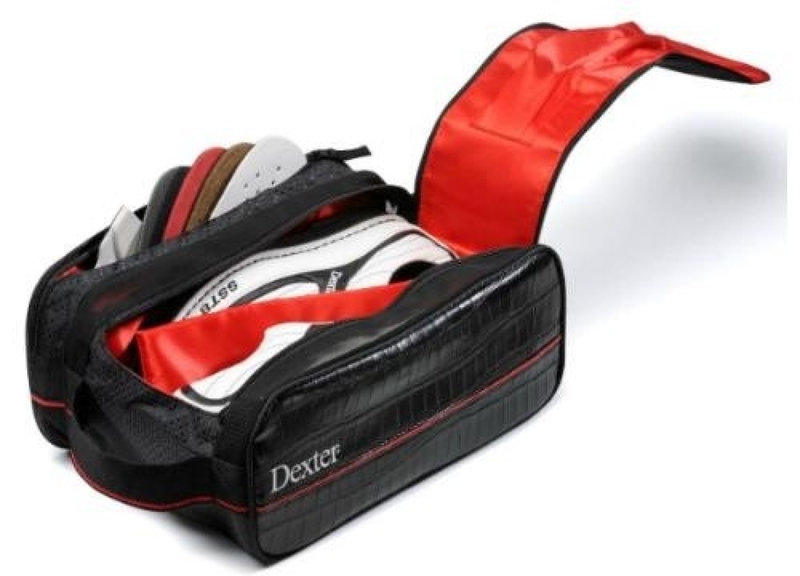 This bag is great for any Dexter shoe or shoe that comes with accessories. Keep everything together in this convenient Shoe Accessory bag. Keeps the soles and heels together for easy access to change them out when necessary. Stylish Croc emboss synthetic with Durable rip stop nylon construction. Ventilated main compartment to allow moisture and odors to dissipate. Satin lined with padded center divider to protect the shoes finish. Wide double zipper main compartment opening for ease of use. Shoehorn pocket on main compartment flap. Separate zippered satin lined accessory compartment. Comfortable wide webbing carry handle.